My kids are huge chicken wings fans. They order them every time we go to a restaurant or get the occasional take out. Since they eat them like chocolate candy, it can get pricey and it is not the healthiest meal ever. I figure if I make them at home, I can resolve both of those issues and avoid fights over the last few pieces. And guess, what! They love my homemade BBQ chicken wings. They still fight for the last piece but I overlook that. I usually marinate the wings in a BBQ sauce or Honey Dijon Mustard. This time, I decided to add one my favourite BBQ ingredients: Blue Dragon Hoisin Sauce. Don’t lick the screen yet! It is mouthwatering, tender, juicy and full of flavor. A perfect summer dish! Just fire up the BBQ and enjoy a delicious appetizer with family and friends. 2 TBSP of Dijon mustard. Again the quantity depends on how many wings you are serving. 2 TBSP of olive oil. In a large cup, mix all the marinade ingredients. Put the chicken in a large bowl, add the marinade and mix well. Don’t be afraid to use your hands to mix well. Let it marinate in the fridge for few hours. If you are in a hurry, you can fire up the grill but it is best if they marinate. Fire up the BBQ. Add the marinated chicken wings and cook for about 10 to 15 minutes while brushing with the leftover marinade. Enjoy with your favourite salad recipe or just as is. My kids get overly excited when they hear there are BBQ chicken wings in the menu. They enjoyed this new flavor addition and so did I. It is tasty and mouthwatering. As I said: perfect for those summer evening where you don’t want to cook in the kitchen. Looking for more delicious barbecue recipes? Visit Blue Dragon website to see all their mouthwatering spices and sauces! Then head over to their Tumblr for amazing recipes and cooking tips! Don’t forget to follow them on Twitter and Facebook for even more inspiration! 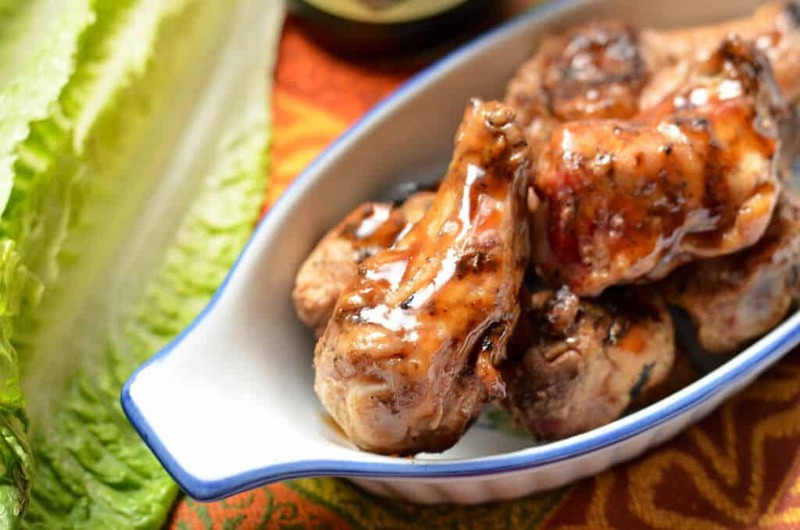 Do you have a favorite chicken wings recipe? How do you enjoy them most? Tell me in the comments! Redeem Your AIR MILES Rewards for Cash at Iris! We love chicken wings at our house, especially the dry spice varieties! Yum! These looks so good! Thanks so much for sharing at #HomeMattersParty. Hope you’ll join us again. This sounds like a new family favorite! Thanks for linking up with What’s Cookin’ Wednesday! Chicken wings have become my new obsession!! These look wonderful!! Thanks for sharing on Showcase your talent! Hey I would love if you came and shared your stuff at my blog hop…My 2 Favorite Things on Thursday!! I’d love to have you!! Thank you for the recipe. This looks very delicious. We like grilling wings out on the grill. I will try this one out. These look DELISH! We were just talking about needing a good wing recipe and BAM, yours appeared. Perfect timing. I’ve never tried Blue Dragon Hoisin Sauce…..sure does look tasty! Thank you so much for sharing this delicious recipe. I’ve just pinned it and will be trying it soon for sure! I have just started a new link up that has just gone live! I’d be honoured if you could join me at my very first Sundays Down Under link up! This post would be a fabulous addition. Love wings! Thanks for the recipe, I am going to have to try this recipe out! My family loves wings! I can’t wait to make these for them. 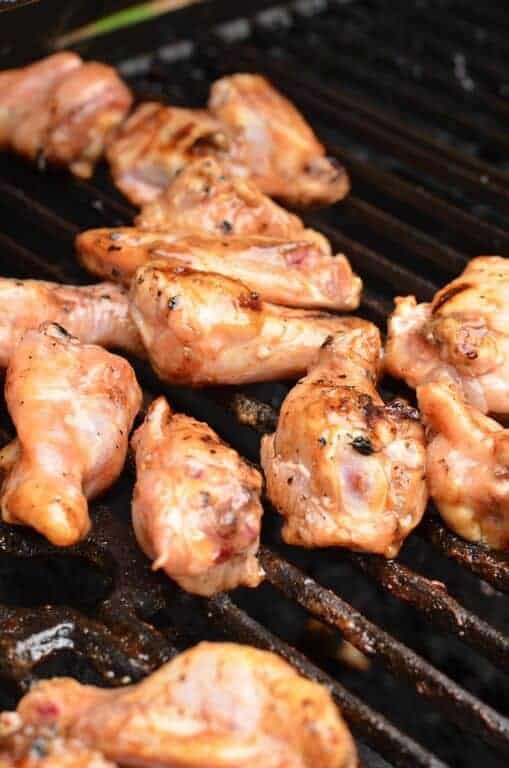 Chicken wings are one of my husbands favorite foods to grill up. These sound amazing and like a recipe he would love. That looks delicious! I’ve never thought to use hoison sauce for wings. Going to have to try it! Omg! !These wings sound absolutely delicious!!! Hubby and I are both wing obsessed. Definitely giving this a pin! How decadent! We love Chicken BBQ, always a winner! I don’t generally eat chicken wings–maybe because my tummy can’t take the sauces anymore. I found out recently my Mom loves them when we went out to lunch. She likes them kind of mild but I will forward on this recipe to her. I’ve never made chicken wings at home but I like the idea of using the BBQ and it would be great for company. This looks yummy! I’ve actually never made chicken wings at home, but we all love them. Maybe I’ll try to now that I have this recipe. What a delicious twist on the wings! I would love to try these sometime very soon. This sounds like a recipe we would like a lot. That sauce sounds perfect for wings and other barbeque! I would have never of thought to put dijon and hoisin together, I bet that was awesome! wings are our new favourite thing to make at home! This looks so good, we’ll be trying it! Oh my goodness! This looks amazing! I love me some chicken wings! I tried parmesean garlic ones from Buffaloe Wild Wings and I get them from everywhere now lol. That sounds absolutely delicious. We just loooove wings! I can’t wait to make this for my family! 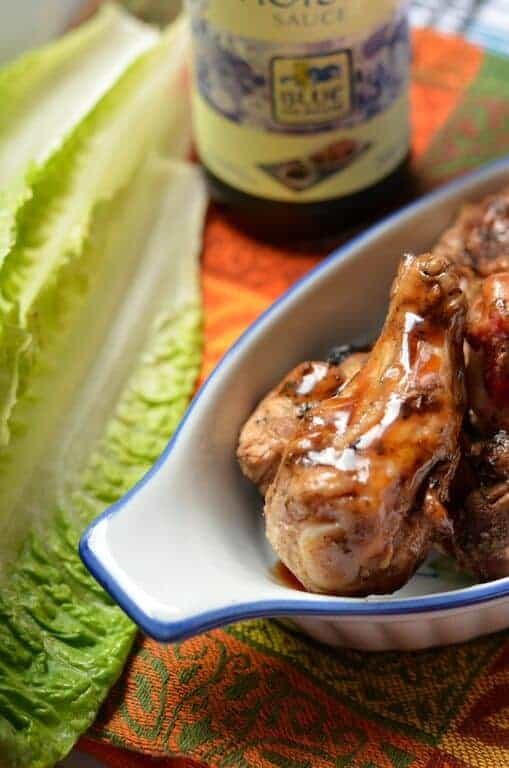 I am a big fan of chicken wings and your photos are mouth watering and make me want to try this recipe! What a great combination of flavors and this recipe is now on my list to do! I’m going to try making these for my husband. Like your children, my husband too eats a lot of wings. They get a little pricey, $6 for 5 or so. Thanks for sharing your recipe with us! Great recipe! I always find chicken wings messy to cook so love the BBQ option! Mmmmm…. my hubby loved chicken wings but I rarely make them so I should totally do this for him! Maybe this Sunday. 🙂 Thanks for sharing! Our Fair Trade Bags Make Fantastic Mother’s Day Gift Ideas! All the Best Family Movie Releases From 2016-2019! Are We Misusing Car Seats? You May be Surprised at the Answer!